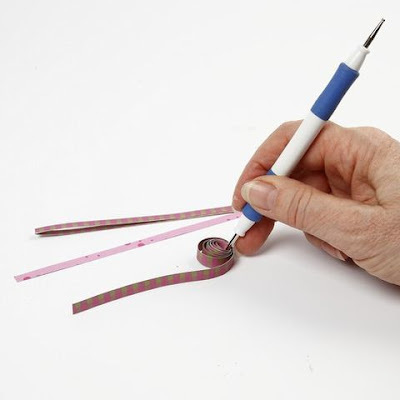 This is a fun technique in which narrow veaving paper strips are rolled or twisted using a quilling pen and then wedged in a quilling board and glued together. The shapes are glued onto a greeting card. 1. 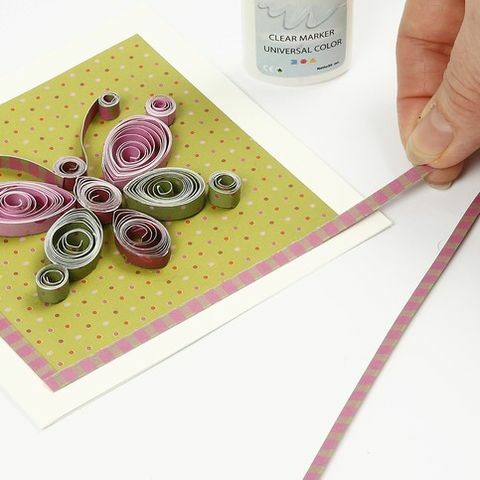 Roll or twist the weaving paper strips using a quilling pen. 2. 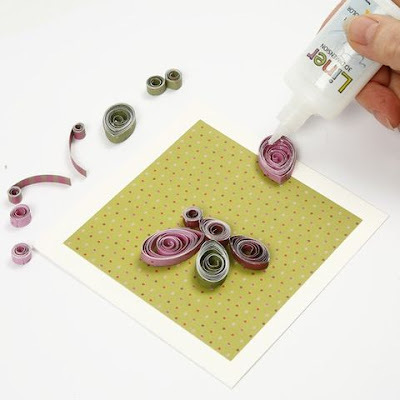 Place the rolled up paper strips in a desired mould in the quilling board. 3. 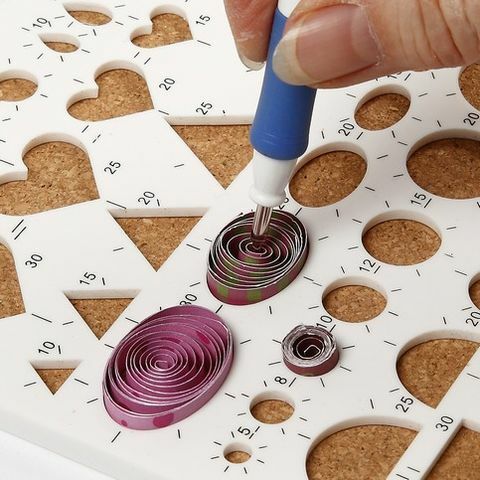 Remove them carefully from the quilling board. 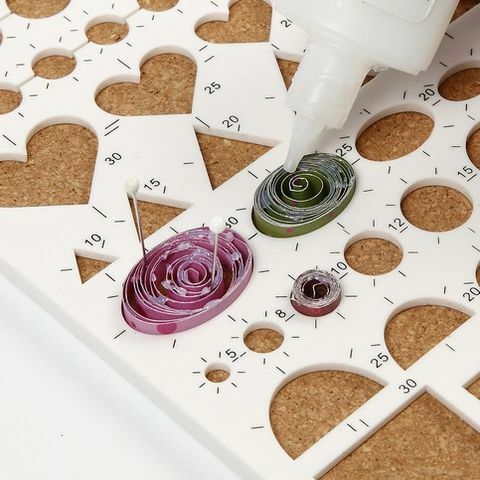 To hold the size and the shape, glue them together with clear marker. 4. Place in the mould on the quilling board again. You could use pins to keep the same distance between the turns. Now glue with clear marker. The glue is gel-like and not runny. Let it dry. 5. 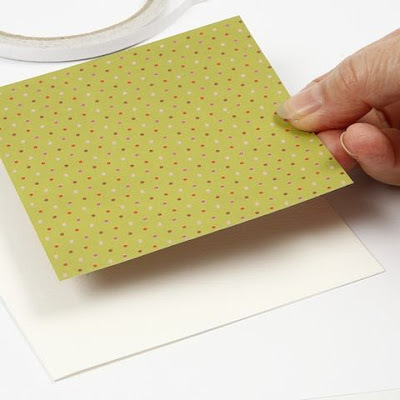 Glue a piece of color paper onto a greeting card using double-sided adhesive tape. 6. 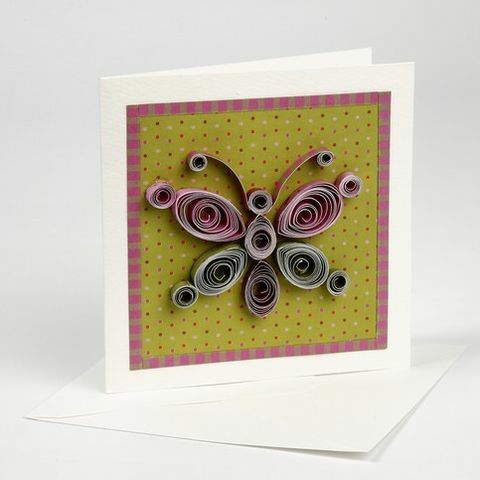 Glue the paper coils onto the greeting card in a desired pattern. In this example: a butterfly. 7. 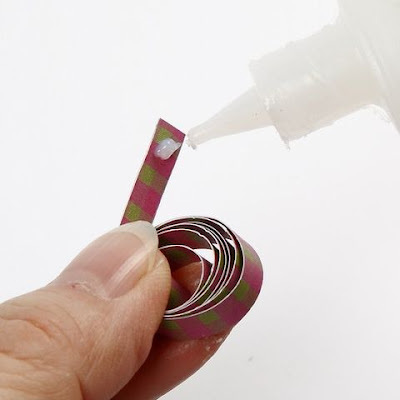 Glue strips of paper along the edge.